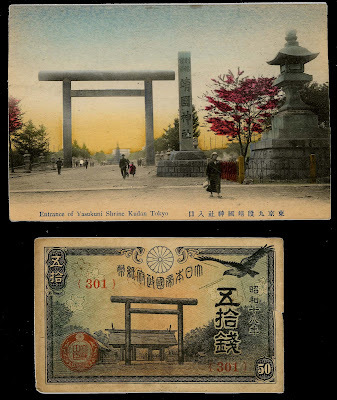 The first official postcards appeared in Japan in December 1873, shortly after postage stamps were introduced under emperor Meiji. 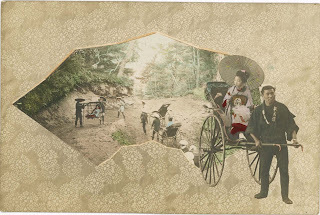 Return postcards were introduced in 1885, sealed postcards in 1900, and private postcards became common after 1900. 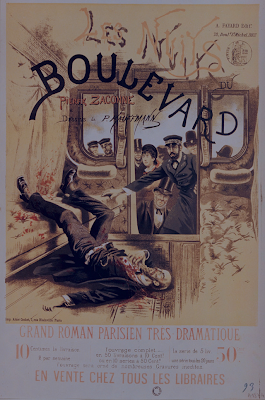 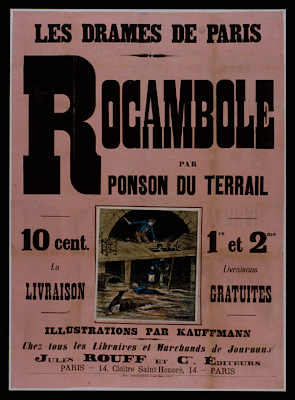 Traditional cultural standards of illustration, design and meticulous craftsmanship were applied to the new medium of pictorial postcards. 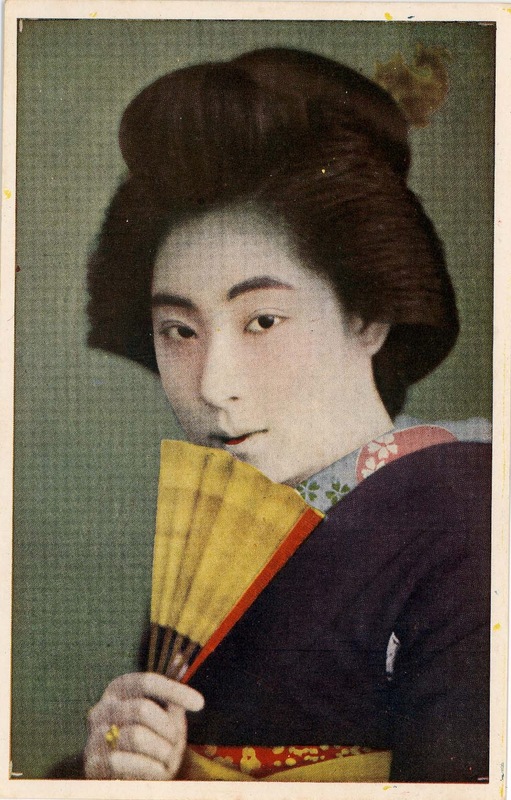 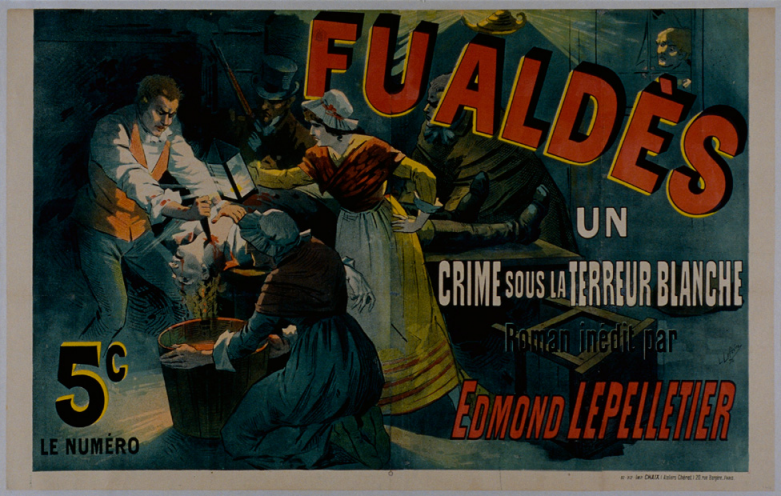 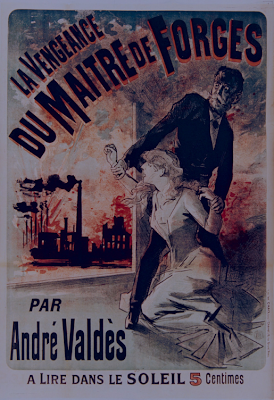 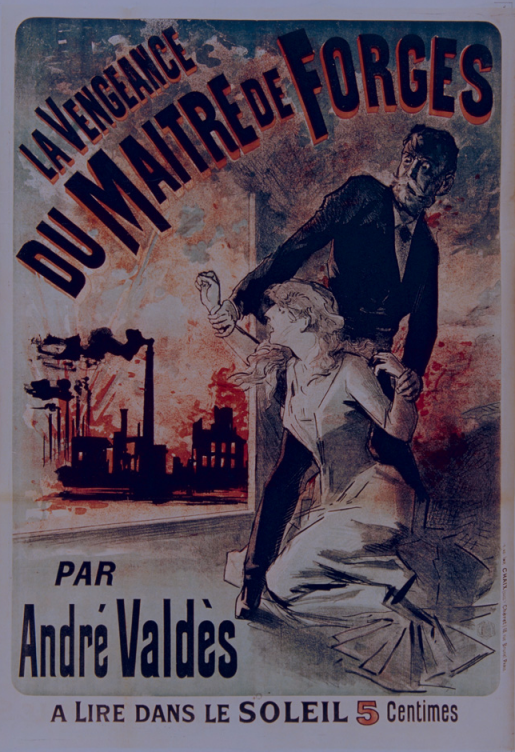 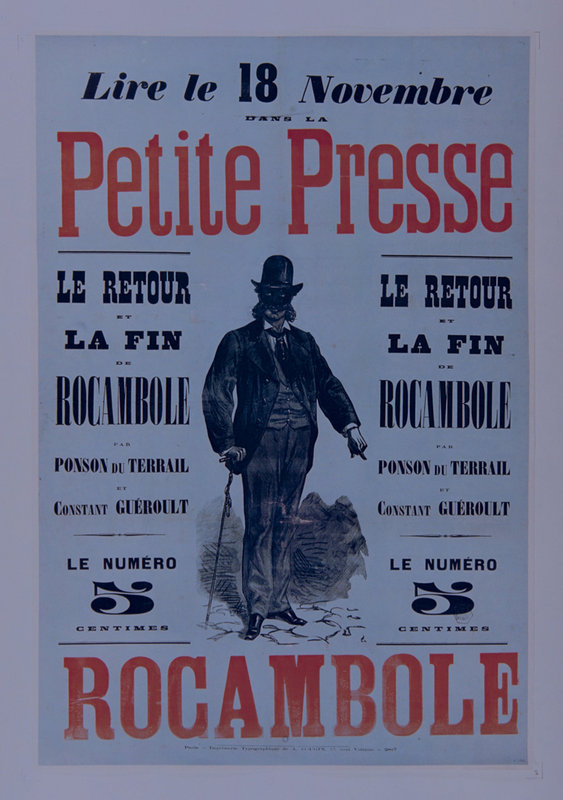 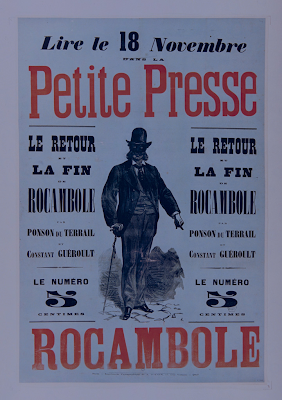 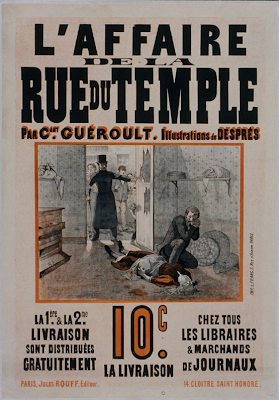 Half-tone photographic printing techniques, mated with delicate color separations, soon made Japanese postcards world famous. 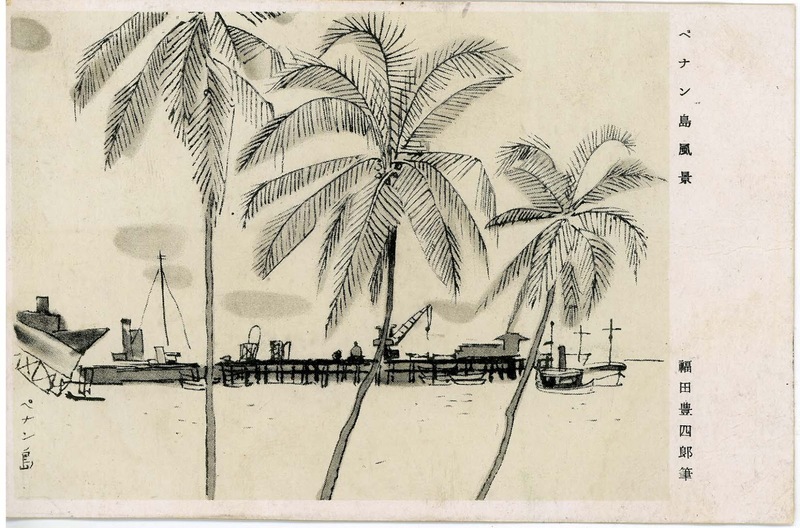 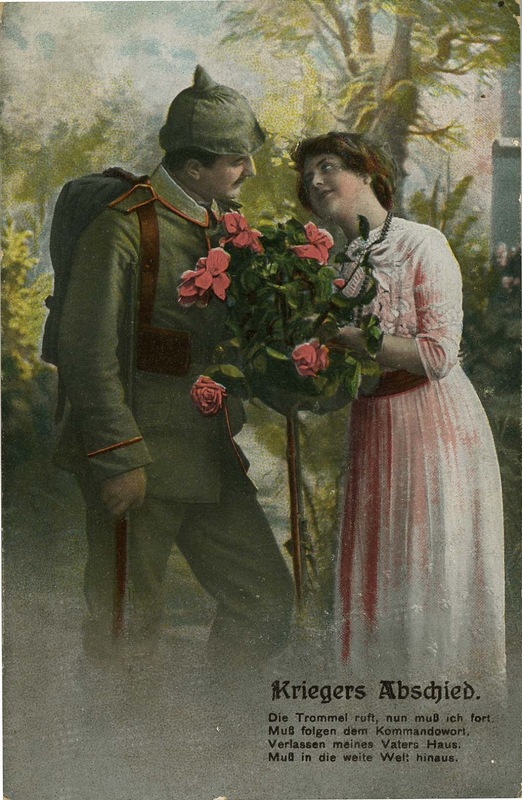 In addition to providing souvenirs of travel and formal holiday greetings, postcards were recognized early on as a useful propaganda tool to stress the virtues of loyalty, nationalism, reverence, hard work, family ties and military glory. 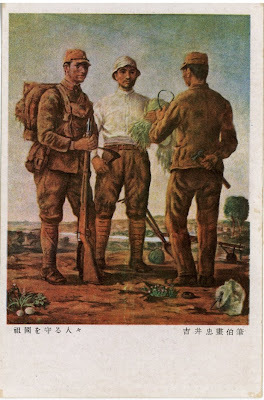 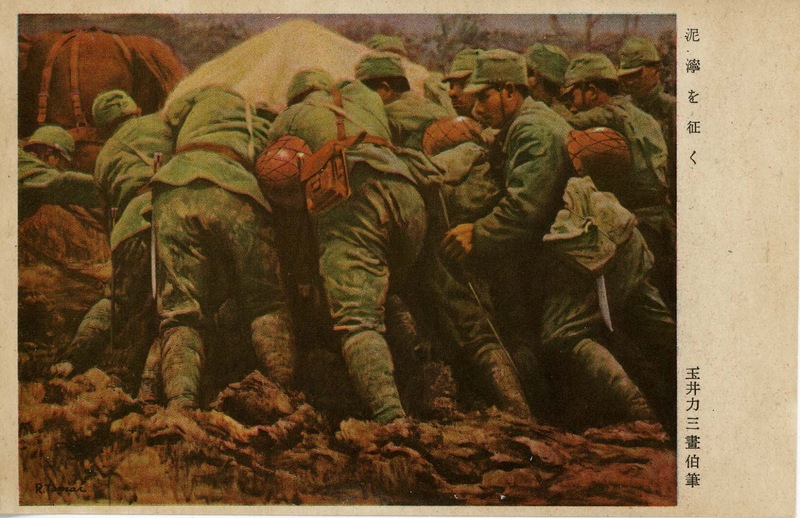 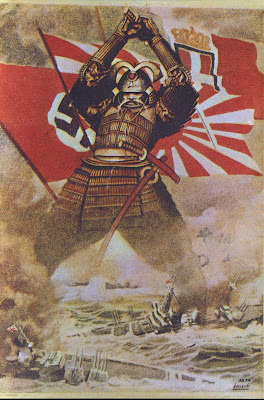 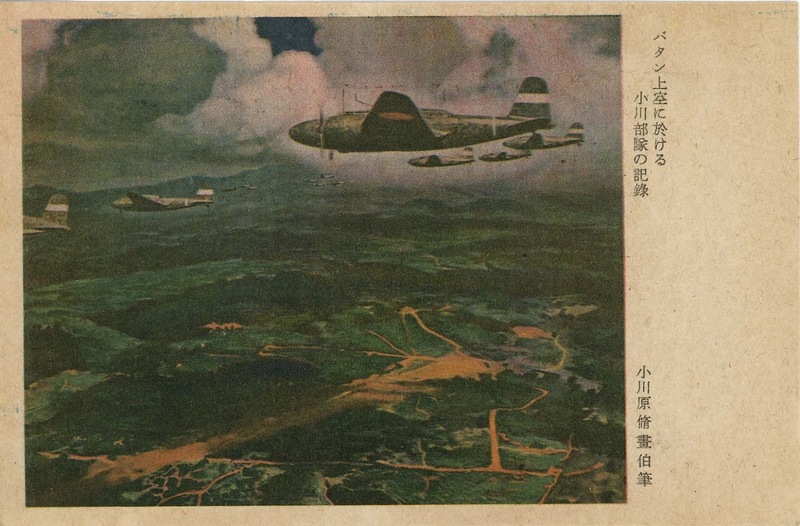 From the Russo-Japanese war of 1904-5 through the early stages of “The Great East Asian War” of 1931-45 (otherwise known as WWII), Japan’s armed forces were plentifully supplied with patriotic postcards at nominal fees. 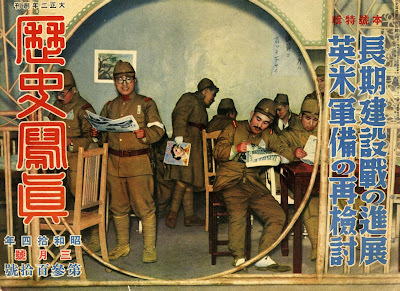 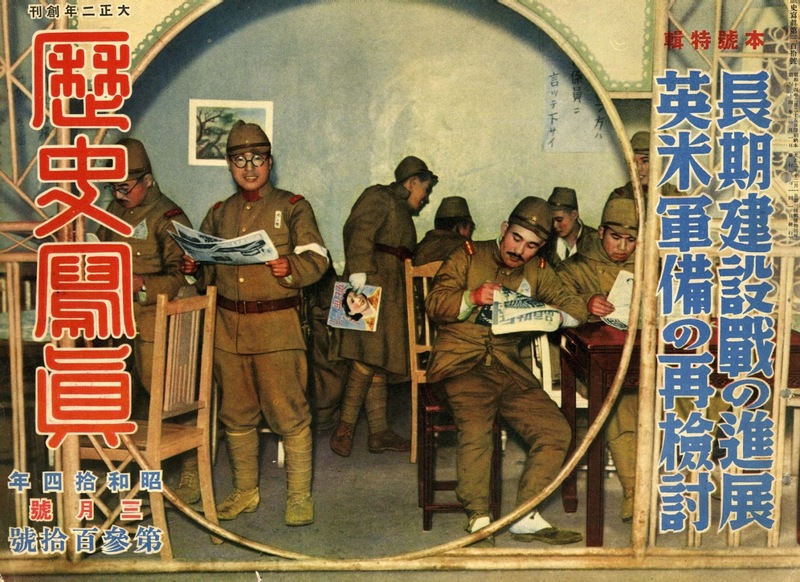 The posed happy soldiers smiling out of the March 1939 cover of Reikishi Shashin (Historical Pictures) in their well-appointed recreation room, could purchase 100 government-authorized cards for the U.S. equivalent of six cents, to send to loved ones at home. 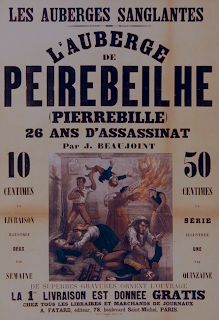 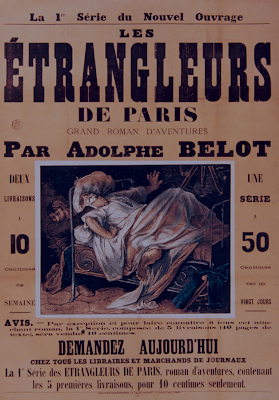 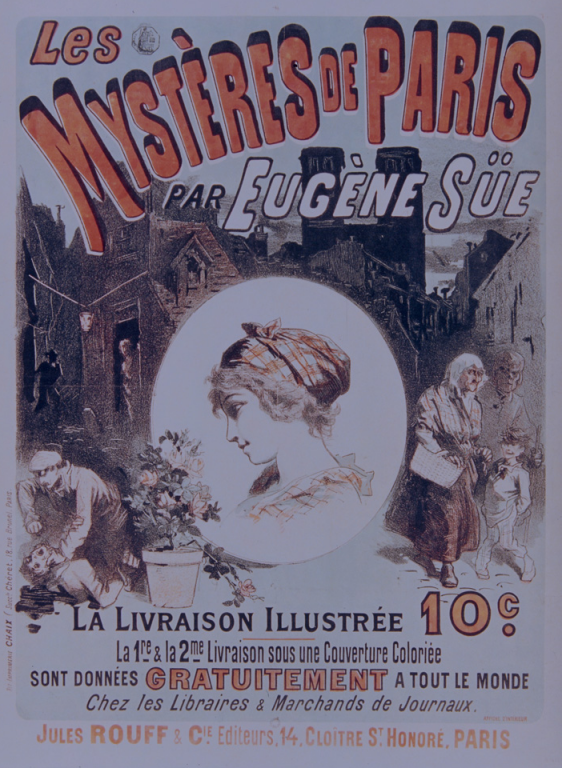 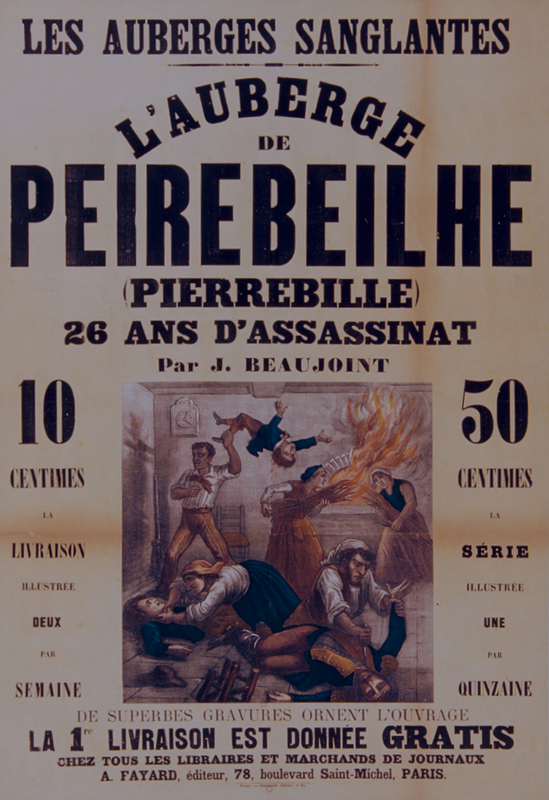 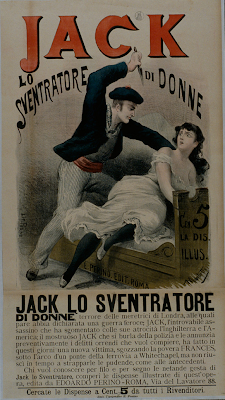 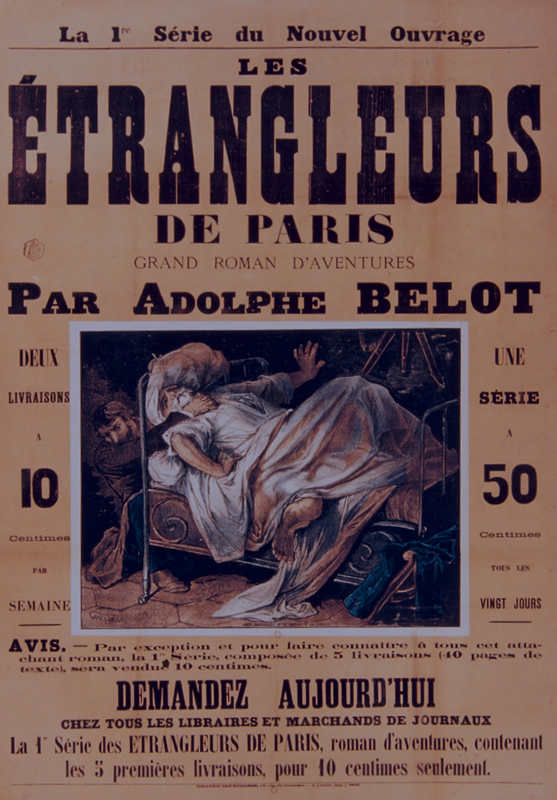 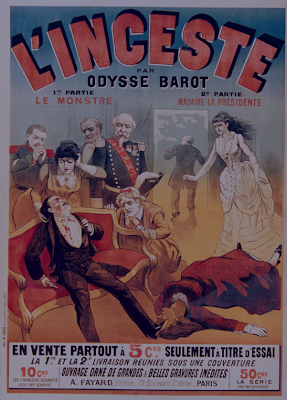 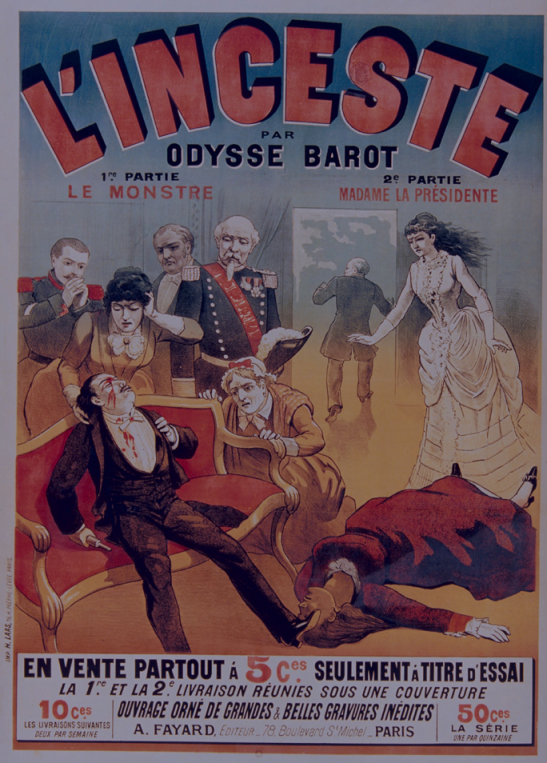 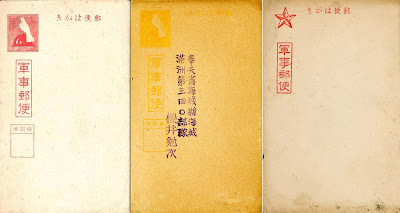 These came in sets, wrapped in tissue paper, and featured plain cards – with a place for the censor’s stamp – and pictorial cards. 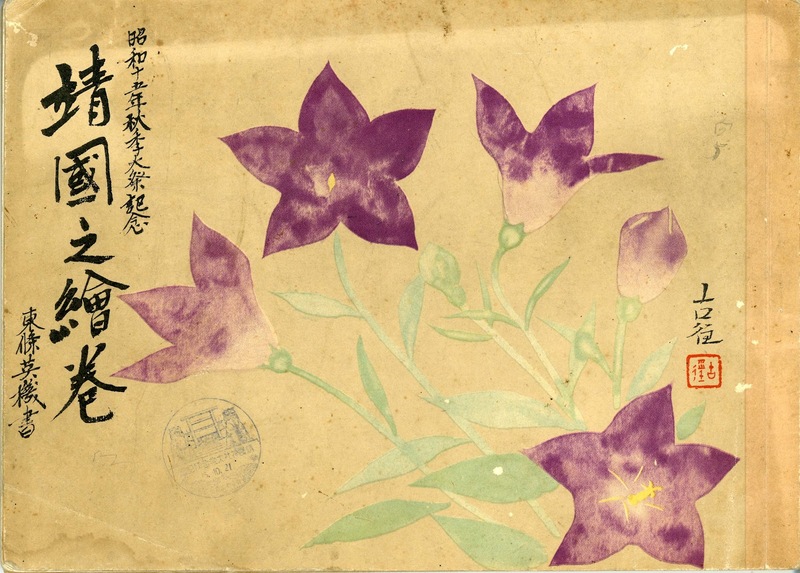 The example with the purple overprint was supplied to units in Manchukuo, Japan’s puppet state in North China. The printed stamp featured a soldier’s helmet surmounted by the dove of peace. 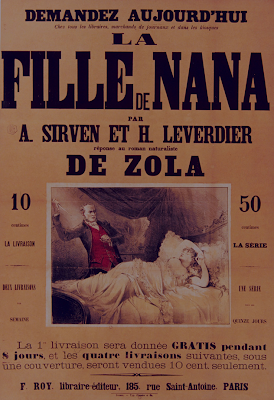 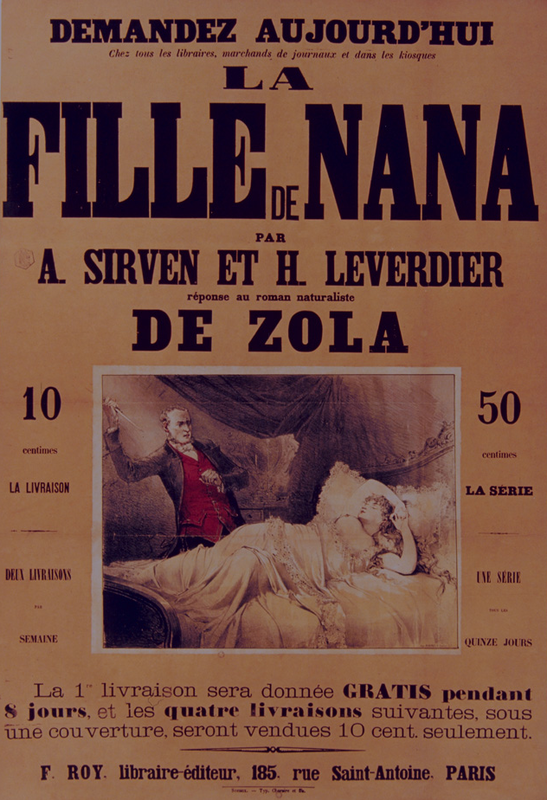 Pictorial card topics were varied. 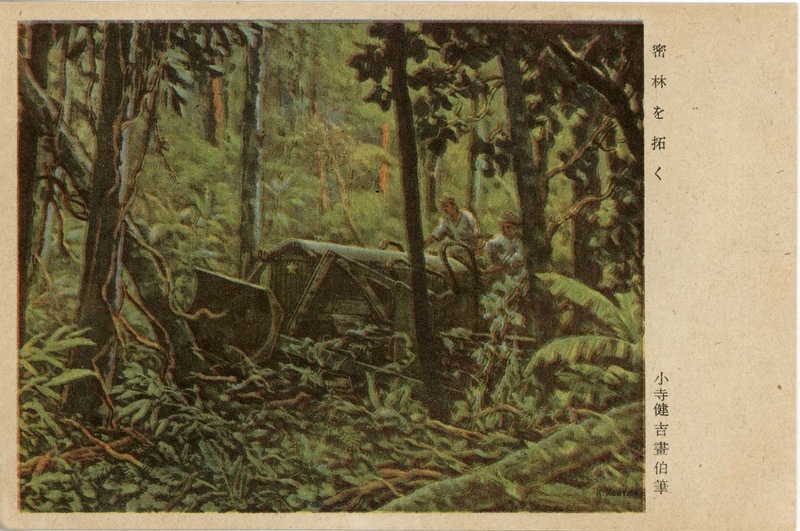 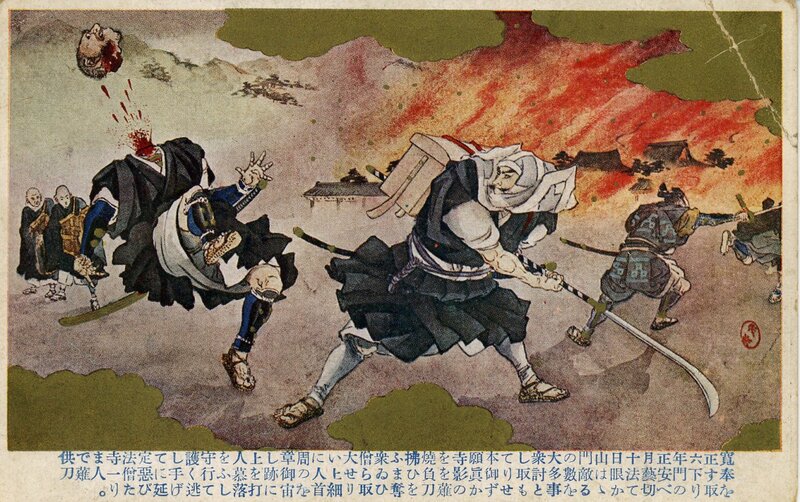 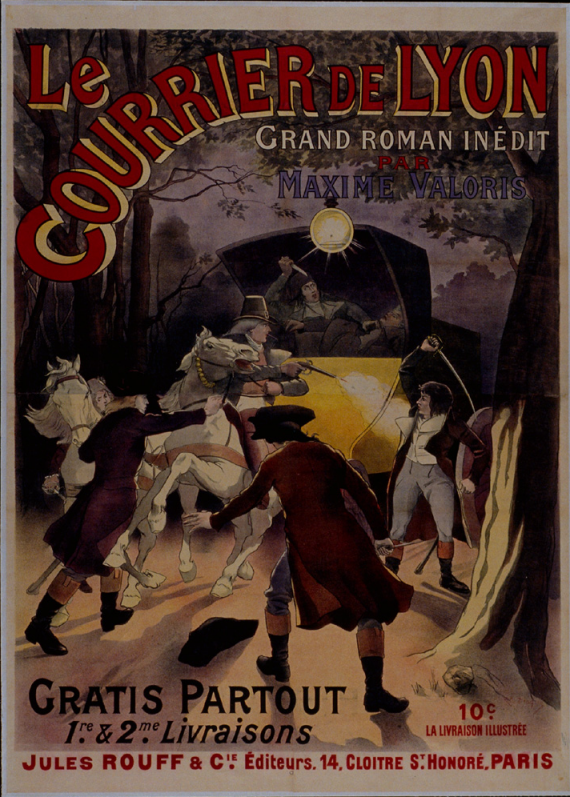 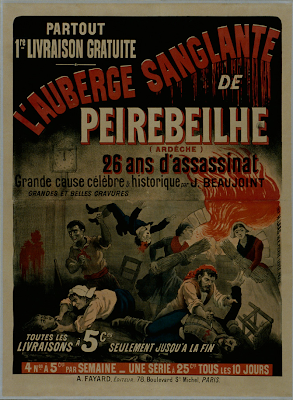 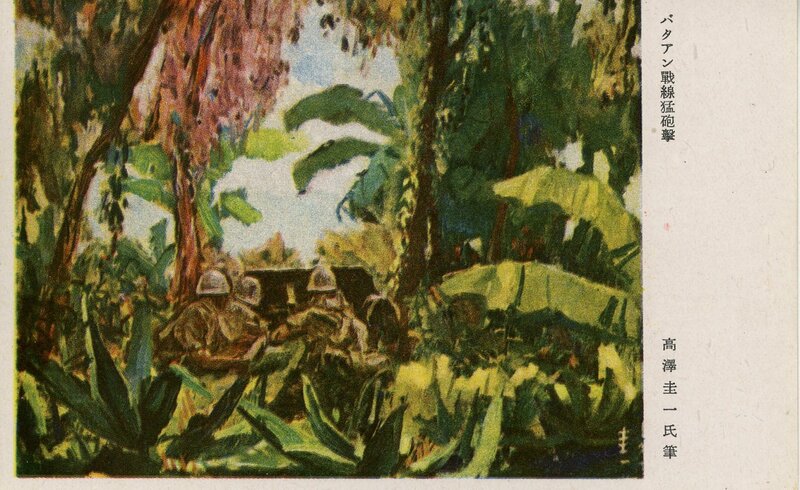 Unlike the bloody scenes of historical samurai combat issued earlier in the century (and echoed by an Italian card commemorating Japanese naval victory over Britain) Japan’s troops generally preferred more artistic depictions of troops in jungle terrain and peaceful, pastoral scenes of Chinese landscapes and buildings. 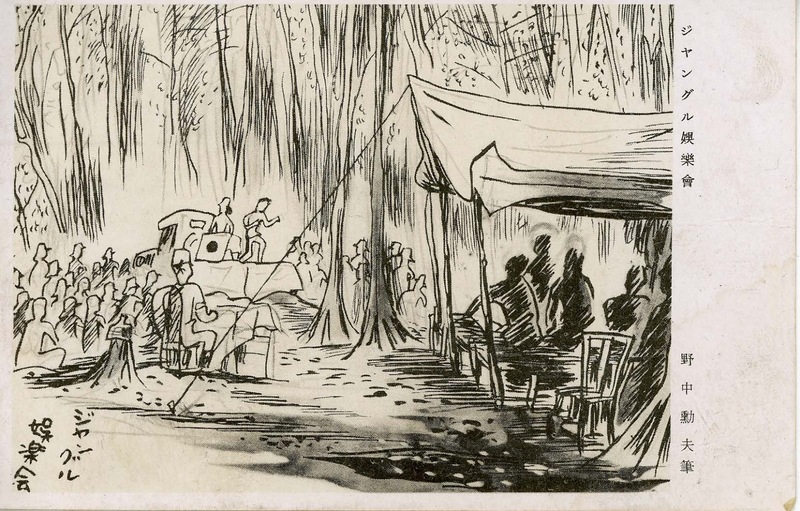 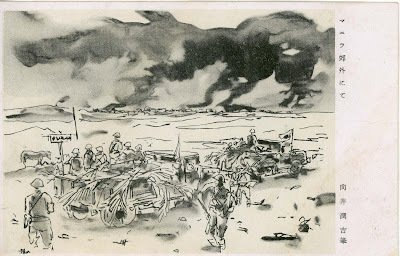 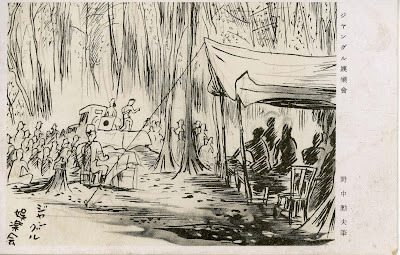 The work of many talented war artists appeared in this miniature form. Styles ranged from austere Zen sketches to hyper realistic full color renderings. Some recalled the incredibly subtle woodblocks of the Ukiyo-e tradition. 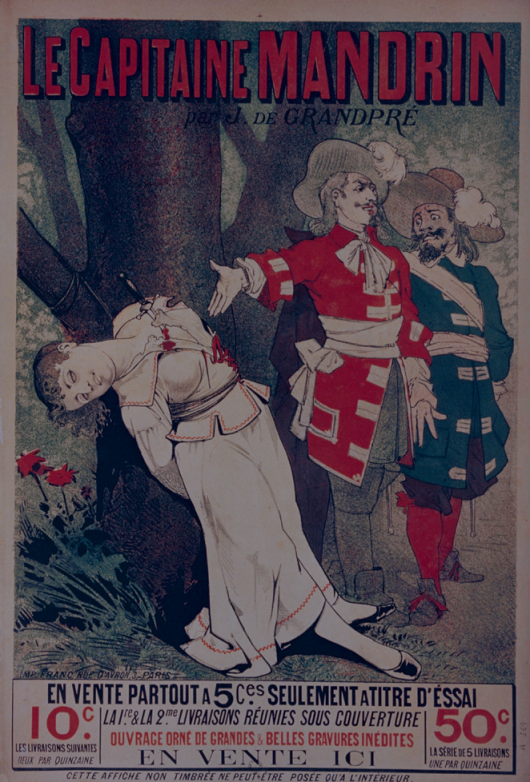 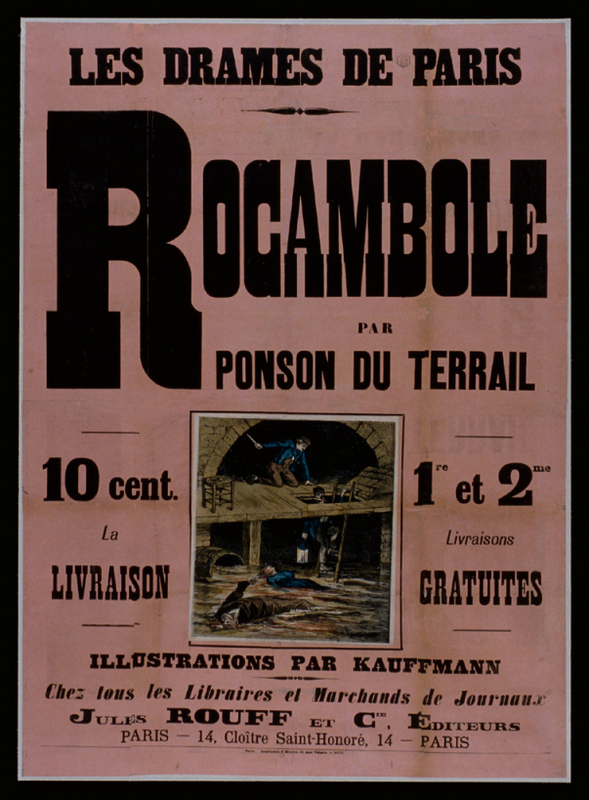 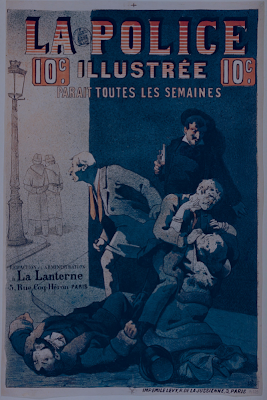 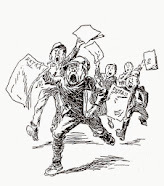 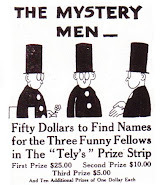 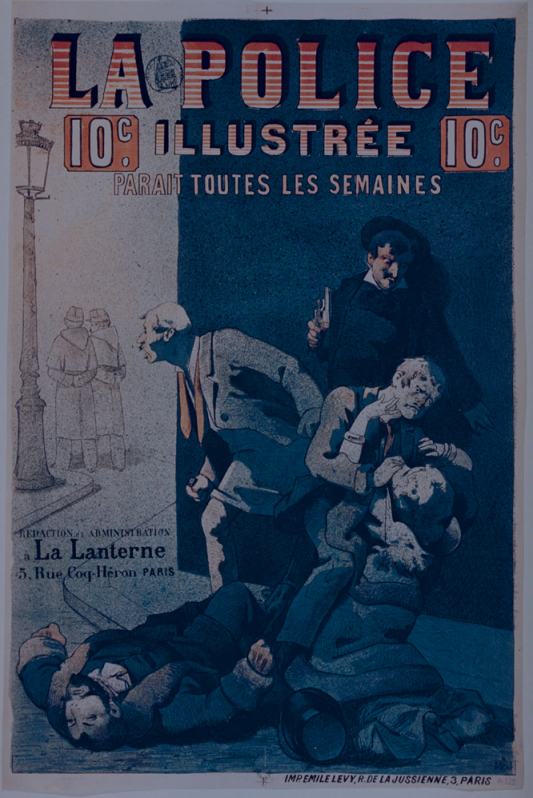 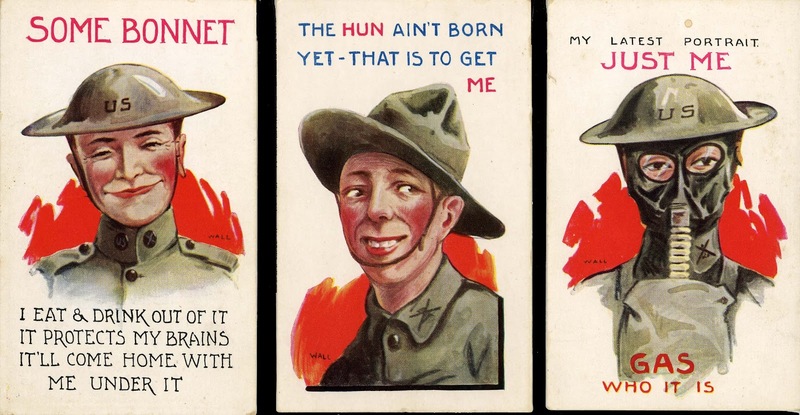 Comic postcards, featuring crude cartoons and thought balloons, were also available through private purchase, and were widely used on the home front. 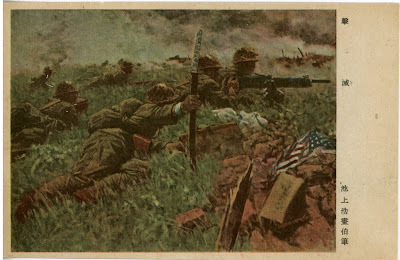 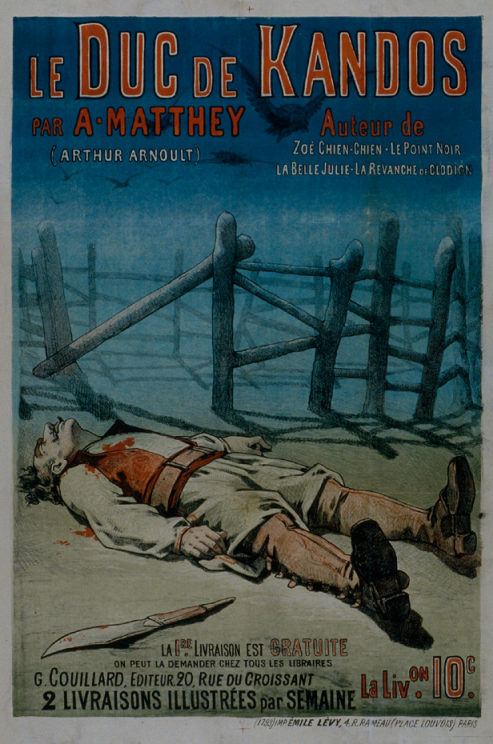 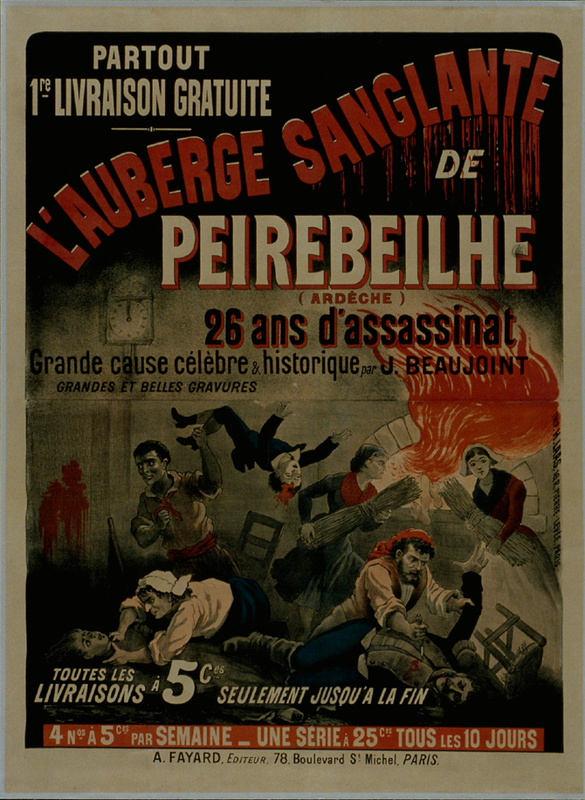 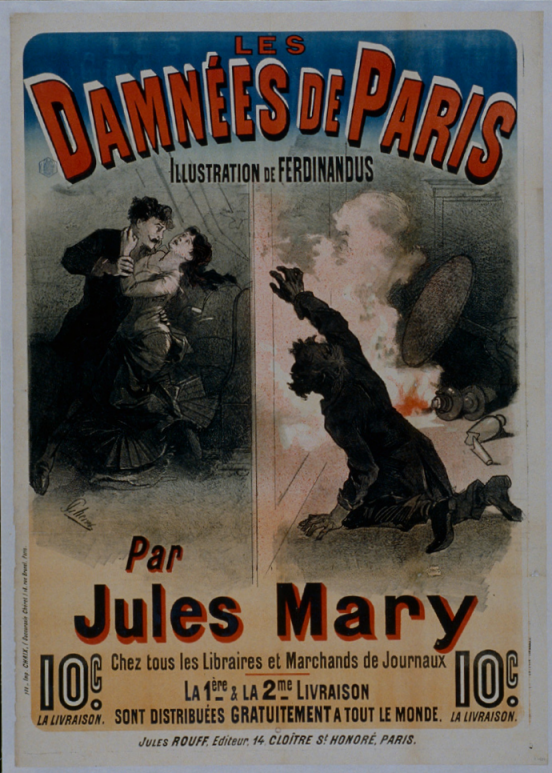 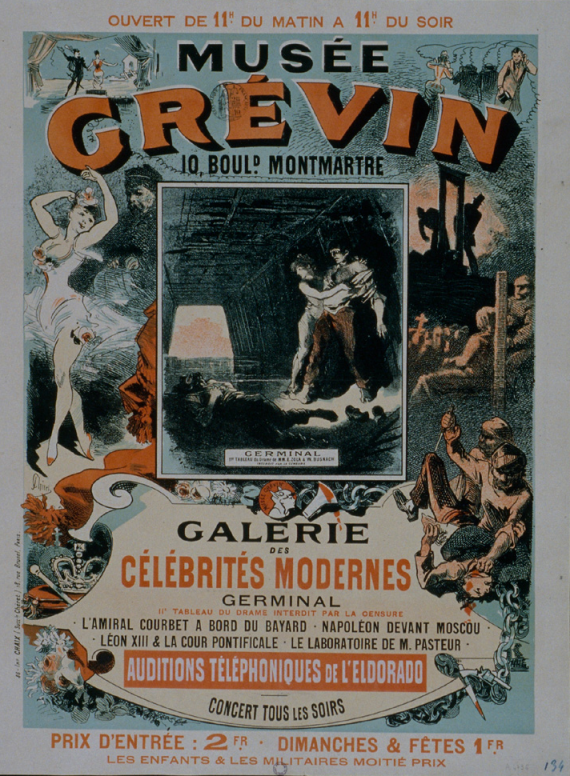 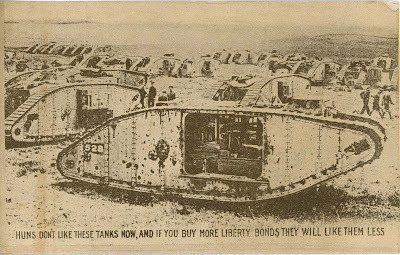 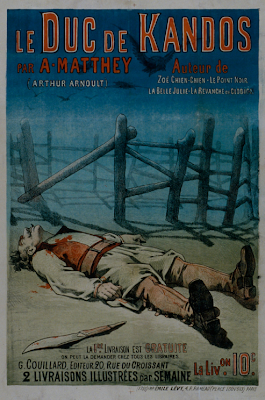 Unlike the wild exaggerations of ultra nationalism that filled home front magazines and posters, the postcards used by combat troops reflected a more sober and restrained view of the war. 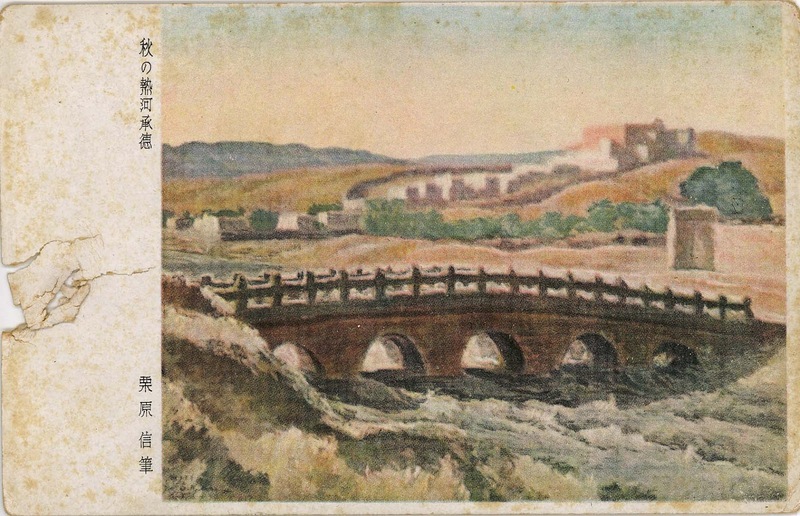 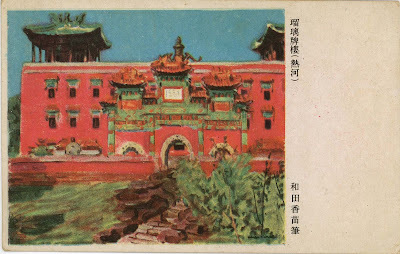 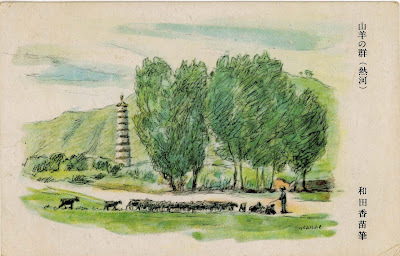 Scenes of a peaceful Chinese countryside evoked nostalgia for the pre-war landscapes that were then being ravaged by the very troops sending these cards to the folks at home. 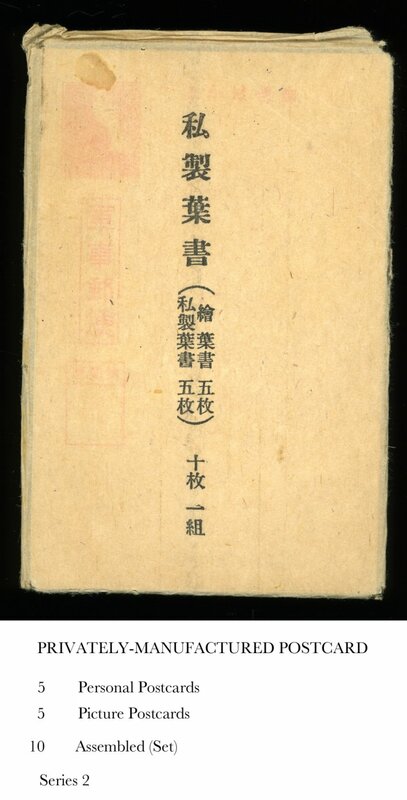 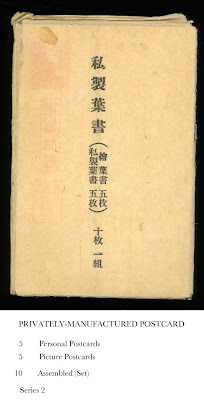 In 1940, Premier Hideki Tojo authorized an elaborate illustrated volume, entitled Yasukuni no Emaki (Yasukuni [Shrine] Picture Scroll) to be distributed twice a year to the families of personnel killed in the war. The “Peaceful Kingdom” Shrine in Tokyo, dedicated to Japan’s war dead, was a familiar icon, appearing in all media, including paper money. According to later Shinto belief, the souls of the war dead gather at the shrine to be honored by their families and by the State. 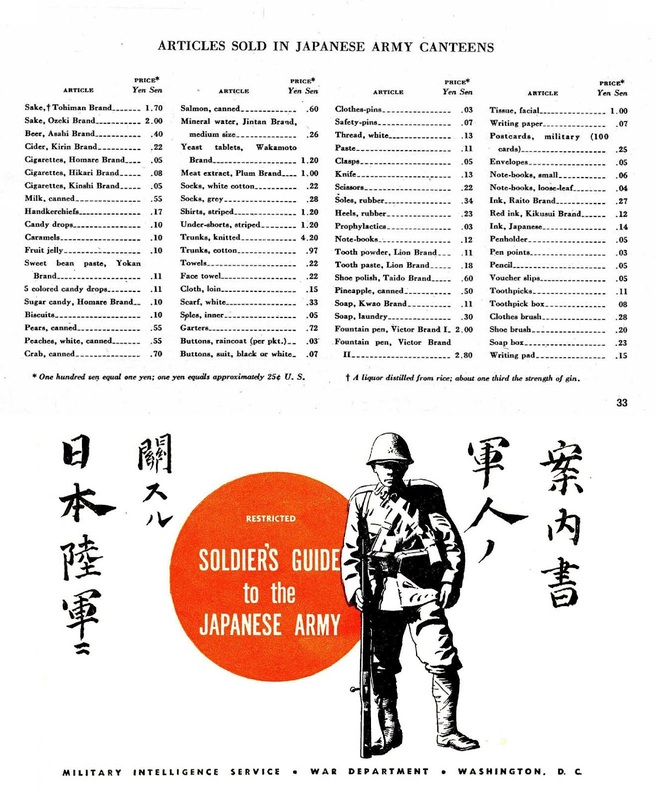 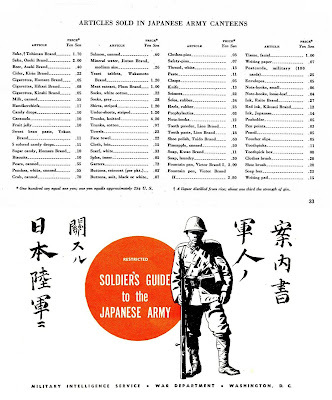 All the double-page spreads in the book closely resemble enlarged versions of the military postcards. 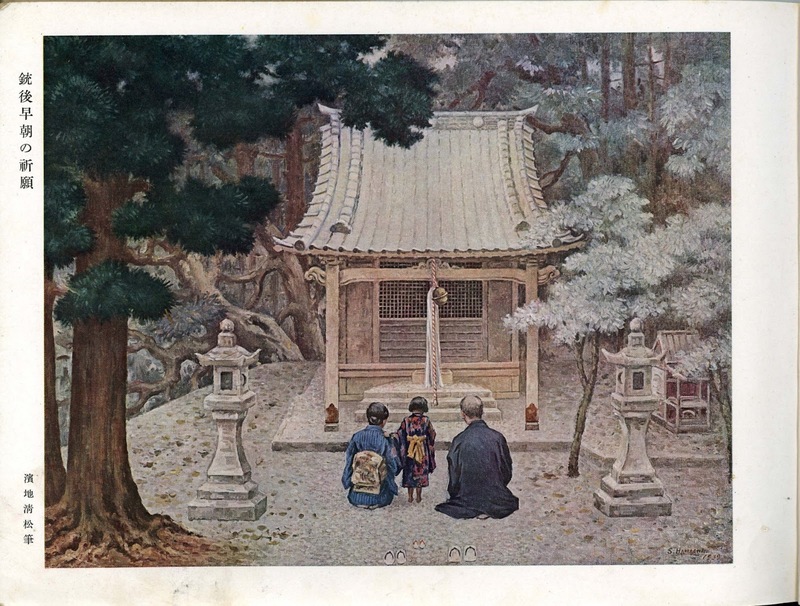 A touching illustration at the beginning shows a man, woman and child praying at a small shrine for a lost serviceman. 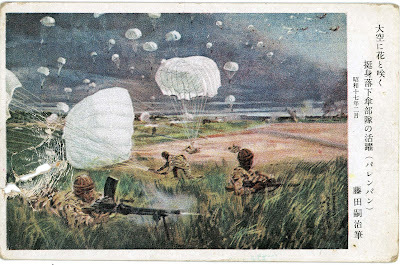 Two of the cards illustrated below (paratroopers at Palembang and a Chinese bridge) were torn by the same bullet, which must have passed through the owner’s haversack. 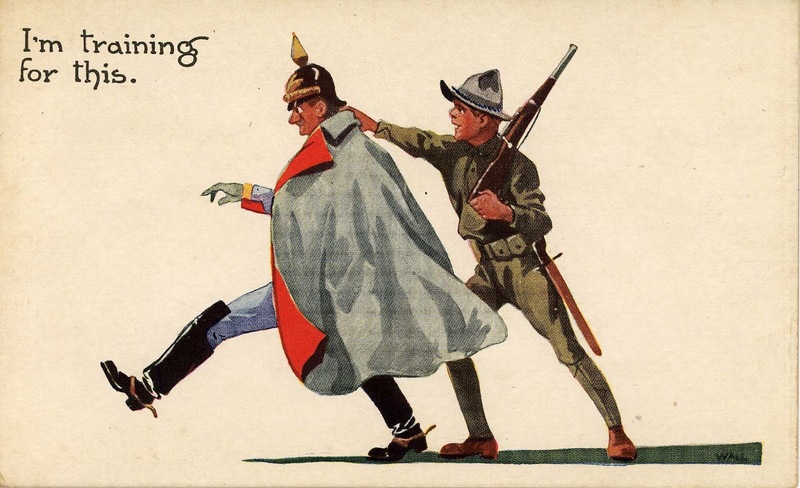 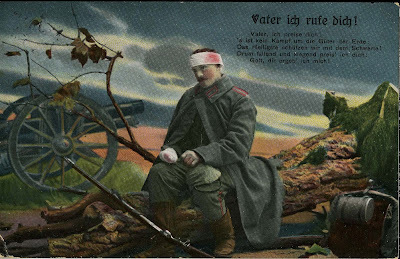 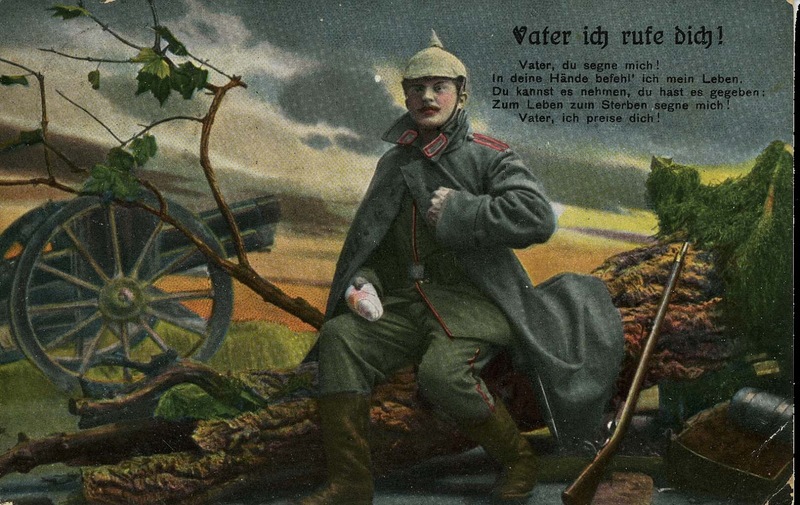 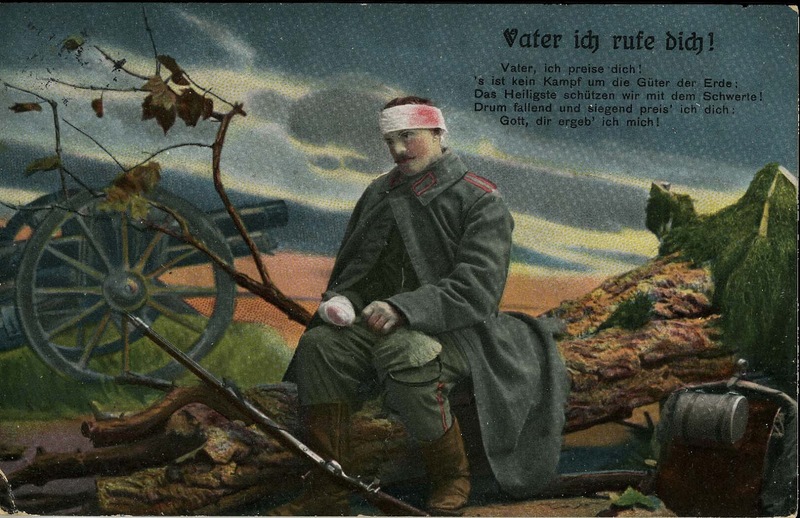 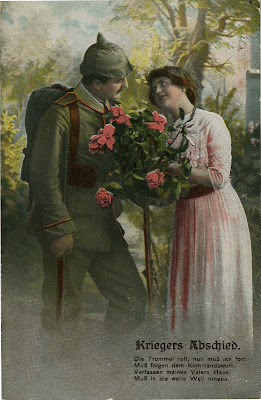 The ultra-sentimental World War I era German cards are a good counterpoint to the brash, breezy American comic images.